Borderland Beat: "Before, as a policeman, I earned $270 a month. Now, with the fuel, I can get up to $50,000"
"Before, as a policeman, I earned $270 a month. Now, with the fuel, I can get up to $50,000"
In the bastion of gas thieves in Mexico, a policeman who entered the business explains his motives, his life change, and other ins and outs of an activity that is growing unchecked. The man tries to justify himself. Creates an excuse, but does not put too much effort to defend it. "Look," he says, "I know this is wrong, but the need ... If I lived in a fishing community, I would be a fisherman." You can go live by the sea ..." Yes, but the money is very ... Go, see that the money is very addictive. You buy everything with money, everything." Sitting on the terrace of a cafeteria, he scrutinizes his working life. While talking, he fiddles with the keys of his vehicles, two German-made cars. It is hard to believe that the man is a huachicolero, one of many fuel thieves who have put the governability in this area of ​​central Mexico in check. Two weeks ago, a group of thieves like him confronted the army in Palmarito, a town ten minutes from here. Four civilians and six soldiers died. It was a leap into the void of the huachicoleros, an attack of an aggressiveness unknown to date. Since then, more than 2,000 military men patrol this small strip of dusty land. The man does not want his name to appear for obvious reasons, nor that of his people, nor any detail that can identify him. He has two trucks and eight portable tanks with the capacity for 8,000 liters of fuel. He steals gasoline from a Pemex pipeline in one of the municipalities of the red triangle, the most affected area in all of Mexico. He works or has dealings with El Buchanan's band, one of the two big huachicolero leaders of the area. He employs four halcones and two drivers each time they go to "refuel." And all that, he says, in just three years. "I used to earn 2,700 pesos -135 dollars-for the two weeks, now I can get up to 250,000 -12,500 dollars- a week." The chief of police speaks very fast. Once a court official and public prosecutor, he says that the problem of fuel theft has gone out of control. Not because of the amount of stolen gas, but also because of the aggressiveness of the huachicoleros. "It started with few people, the problem is that when something starts, if you do not fight it, it tends to develop, and that happened," says the boss, who agrees to the talk in exchange for not revealing his identity. Both conversations, the one of the boss and the one of the man happened last Friday, one and another just separated by a few kilometers. "At first the municipal police counterbalanced what we could and there was not so much opposition from the people. On the contrary, they let you know that something was happening, 'hey, there is a car here suspected.' But they started to organize themselves. The federal government abandoned us, so now, if you go in, it's a mess" That is, instead of being scared, the huachicoleros face the police. That is why, says the boss, "we no longer enter." It all started in 2014. The man, who previously worked for two police corps of the red triangle, says he resigned. - You started when you were a policeman? - I started after. But already in the middle of it all you begin to know all those kinds of people. And when you're unemployed, you're vulnerable to wanting to make easy money. And you get involved. I looked for those people, I knew them. When you are a public servant, you get to have familiarity with them. First I asked for help and employment. And they give it to you. As easy as [they asked me], 'how long have you been without work? Its been like a month,' I told them. They gave me about 15,000 pesos. It was like, 'take it, lighten up'. They gave me the ease of a truck. And they said, 'You know what? You are going to work with us. You're going to halcón and you're going to take your cash. And so it began, as a falcón. He, a retired police officer. 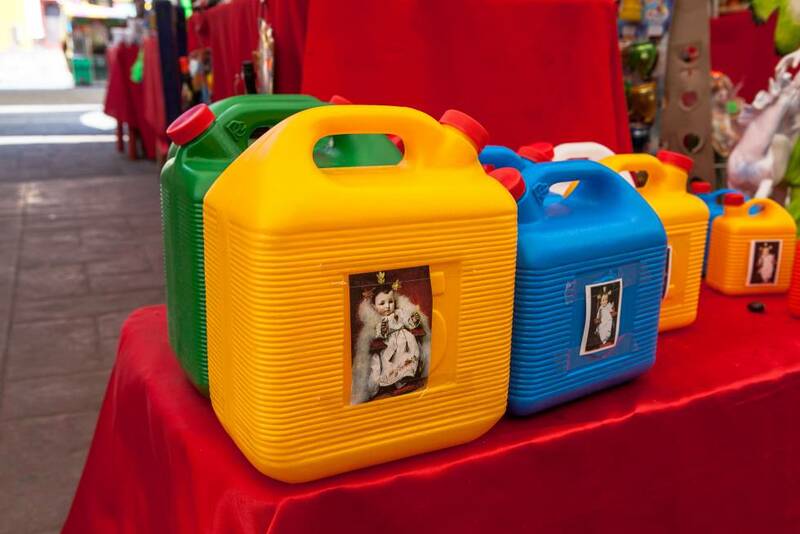 In 2014, fuel theft in Mexico was booming. In the State of Puebla alone, home of the red triangle, the authorities detected 337 clandestine outlets and perforations of the pipeline, 60% more than the previous year. In 2016 it reached 1,533. "I," he says, "took care of the police and the Army. I knew if they were hanging around, or if they weren't. My first job was to watch out while they took the hydrocarbon from the pipe." - How long were you doing that? - I was there eight months. In crime you gain confidence and degrees. Until you become, I do not know, a leader? Or at least a trustworthy person. Then I had money to buy a truck, to invest in containers, in equipment and then I opened up myself, paid a driver and people to take care of me. So I went from working for a person, to getting my hydrocarbon myself. The man explains how the huachicoleros are organized. From Veracruz to Palmar de Bravo, it is the territory of El Buchanan's. From there to almost the city of Puebla, from El Toñín. Now everything is partly stopped because of what happened a few weeks ago in Palmarito, hence his family vacation in Cancun. "The first thing we think is that these canijos are stupid," he says. "What we say is that they have warmed up the area, because what we say and what our boss says is that we don't have to face the authorities, because we're never going to beat them. It's not out of fear, because if he joins his whole group, there is a massacre of authorities rather than civilians. But there's no point, because if you kill ten, one hundred will come. And because of them, no one can work right now. The whole pipeline is well guarded." - Fuel theft shot up three or four years ago, with the previous governor, why? The boss runs his hand across his forehead and nods. Sometimes, he says, it happens that over time you understand things. "Years ago, there was an explosion in an area of ​​Veracruz and civil protection of the municipalities sued Pemex, because they didn't know where the pipeline went. They asked for the plans as a precaution, to know where not to dig and so on. The government sector decided to give the pipeline plans to the municipal presidents, such as President Aquino in 2006, more or less. And the theft intensifies, and with the plan, you're looking for someone who will do it." Since the case of Palmarito, Mexican media has looked for explanations about the rise of gas theft. Many end up asking the same question, is it true that there are Pemex people involved? "Yes, it's true," says the boss, who looks tired, half irritated. He finished his shift at six o'clock in the morning and it's only 10. "There was an engineer who lived in the San Antonio neighborhood, or I don't know what place. That guy disappeared years ago. When we arrived in 2014, that guy was not there anymore. That guy made the holes, but he started drinking a lot of alcohol and doing drugs. And he started to deviate a little. But he taught a lot of people, he charged 25,000 pesos per shot, 1,250 dollars. Apparently he came because El Toñin brought him. What happened is that the municipal presidents passed the plans to civil protection, or to public security and ¡pum ...!" - How many people know how to do that in their area? - We have them counted, there are like three people. And those people who have that capacity are being paid 150,000 pesos for one hole, 7,500 dollars. It takes an hour to do it. Valves the size of the telephone are sold, square. It has a knob, a metal ball, that closes and opens. It is planted in the tube and welded first. With the knob the valve opens and there you see the tube. There it is filled with oil. A little bit of motor oil, so that the tube does not heat up when drilling with the bit. It is made with a crank, a manual tool, a hand drill. And it drills. The tube has a thickness of about 6 mm, as the width of a phone. It takes about 15 minutes. The one who does the drilling already knows when a millimeter is left to drill. And another person must be with a key, very ready. Because in that second the pressure blows ... I mean, well, the hit can kill someone. There have been people that have had their heads cracked. 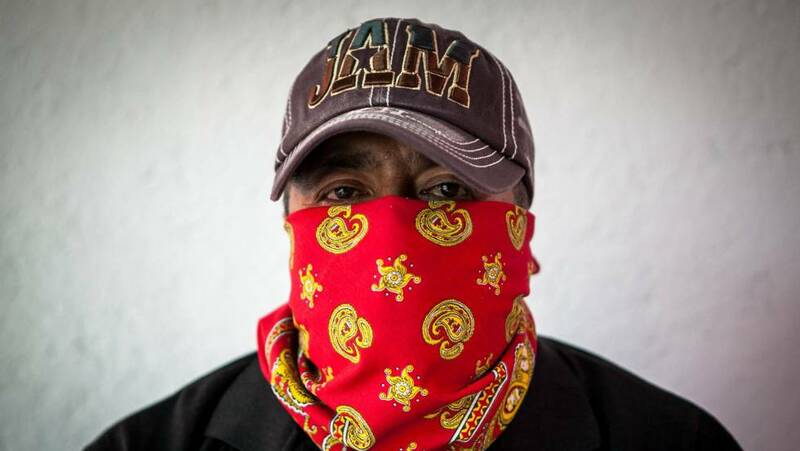 In Mexico, there is talk of huachicolero leaders, of drug cartels trying to enter the triangle, but the man's explanation is much closer to what is happening. Whoever wants to enter, like him, starts from below, as a halcón, 1,000 pesos a night. Then, when you save, you buy a truck, a couple of deposits. You hire your own lookouts, a driver, and you start buying your own fuel. The man says that you owe allegiance to the leader of your area, in this case El Buchanan. He sells the liter for two and a half pesos and you can't leave it for another. "Because he kills you." Then you resell it to six or seven. Leaders are in charge of drilling the holes and security. Buchanan, he continues, manages an armed group of about 80 people. Calculate it, he says, they make the hole and sell to 600 trucks at once. Each 4,000 liter truck pays 12,000 pesos. "I imagine that one good night you can come out with ten million pesos, half a million dollars." - Your little boy - he has two, the oldest is 20, who works with him and the youngest, 11 -, do you have him working? - No, he's studying. He has asked me, but I give him money. But there are situations that can get out of hand in the future. Unconsciously, many of us do not realize all the damage we are causing. But we try to live to the fullest because we know that, any day, you may not be living. And something that is very true: I do not mind dying, huh? Why? Because I have already secured my family and I already lived what I could not live in my whole life. I already lived it in three years. Boss, have you tried to bribe him? "Yes, at first yes, look, I, like a lawyer, thought 'I'm going to do business, I'm a manager, I'm going to make money.' Why didn't I go in with it? Because once we guaranteed a person, they said to me, 'Do you know what? Leave me free and we'll give it to you.' And I am like that. And I told them, how much? And that guy came out with this nonsense: 'For the municipal police, 5,000; for the state, 10,000; and the federal, 15,000. 5,000 pesos for a 4000-liter truck? No, what do you think, no. The boss didn't accept. Then he says that he didn't because if you get into it, you have to accept it always. Which was why: imagine that I agreed and then it goes badly. "They kill me." The huachicoleros usually chop the pipeline under the protection of small, protective communities. They are their benefactors and the people back them, but how do they do with the police? "Once one of my drivers spoke to me," says the man: 'Hey, the patrol just stopped me.' They wanted money, and I went. They asked me for 80,000 pesos. And me, 'no, well, if that's what's going to get me out of this.' And a lot of times, they back us up, you say, 'Take it, I already know what police you are, and if you want to have problems with the boss, you know.' And many times you give them 2,000, 3,000 pesos, and it worked. " The man recounts and talks about money. If all goes well, in a few weeks he will bite the pipeline again, as he likes to say. At the moment, he has plenty of money to put up with and he does not plan to do anything in the meantime. His life, what he needs to live, will earn money. Because he likes it. "It's a very beautiful life," he says as he fiddles with the keys of his cars. El Toñin fucked up having his people kill those soldiers. Minimum wage is definitely a factor for most. The cost of living and supporting a family is difficult. These signs are clearly visible in many countries. Here in the US jobs are plentiful from what government wants one to believe. However, most jobs are poorly paid with workers rights under attack. I guess one would have to put oneself in his shoes to make an assumption of necessity or greed. Let's face reality here, companies look to profit any means necessary regardless of one's situation. They can care less if you can't pay a bill nor clothe your family. Those fortunate will never experience poverty. Inequality has always been an issue worldwide. Mexico needs to throw the book at this scum because it wil not stop unless the consequences are raised. EPN and Calderon turned a blind eye to this problem and let it get out of control, hopefully AMLO is successful in stopping it. Easy fix to this problem. Pass a law that gives mandatory 20 year term to whomever gets caught illegally tapping into any pressurize main. 10 years for transporting and or selling stolen combustibles. Its obvious this weirdo thinks he could be a rapper or some freakin idiot trying to become famous, drunk boracho lol! Well it beats chasing bad hombres. Plus he does not need to sell drugs. Yes I agree it wrongly, but government had done nothing about it before. Los BuchanaZ they work under the Zeta name and even their leader buchanas is considered as one of the leader of Los ZETAS faction that has no affiliation or any conflicts with CDN. Greed and envy takes it every time!! Everything I own has a red ribbon or red factored into it. Chivis check the story were citizens lynched military personel to protect gas thieves. I wld like to see the comments on that fucked up situation. Mexico’s fuel theft problems is Americans fault. Americans are the reason for this. Again blaming elsewhere than oneself. Take responsibility for your actions and behavior already. You are full of it. Some greedy people, such as this crook, who don't want to work for a honest living, are to blame. Does it surprise one of your comment? On the contrary. Mexican corruption is like rice and beans. Delicious lol? Cause rice and beans are dank af.